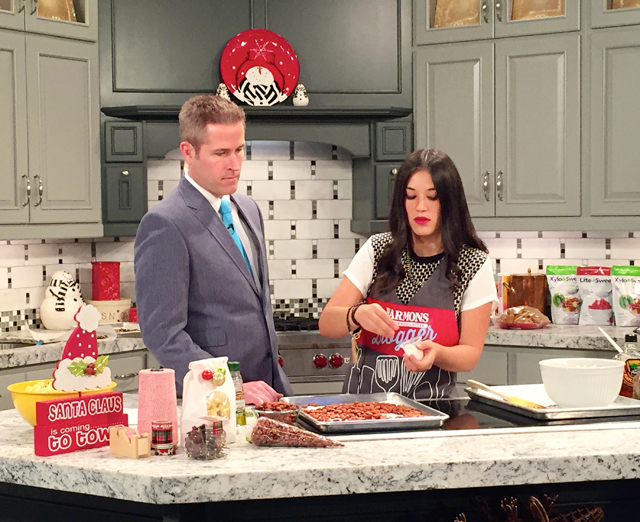 Bright and early this morning I had a chance to go on ABC4 Good Morning Utah. 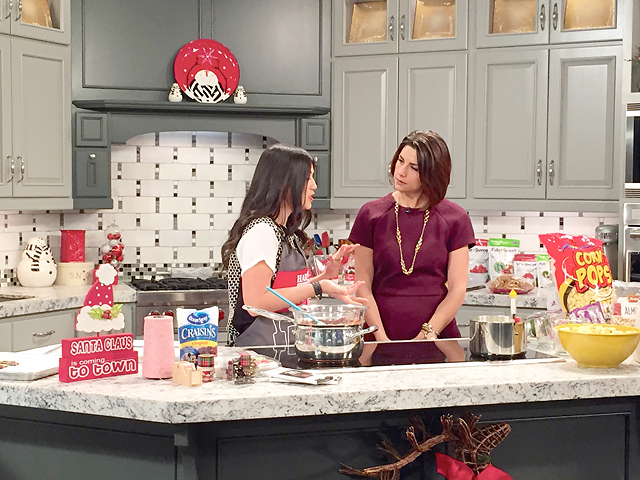 I partnered with Harmons Grocery to share four quick and easy delicious holiday gifts for your neighbors or co-workers. 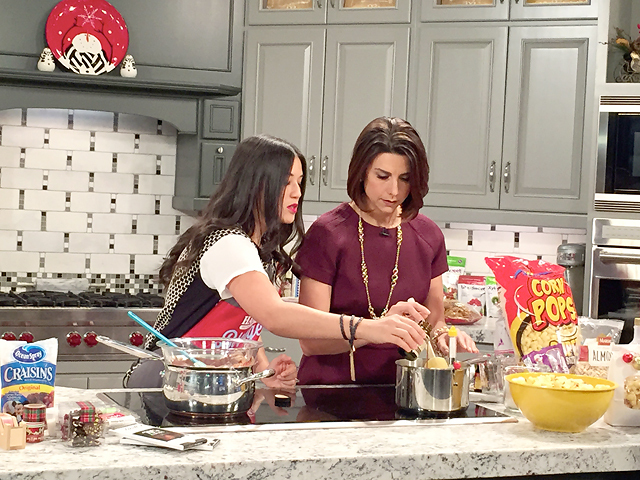 Here is the segment for the Sticky Coconut Corn Pop recipe, and Dark Chocolate Bark with Pistachios, Sea Salt and Dried Cranberries. I’ll be sharing the full recipes soon with pictures. But until then, I’ll post them all here until I can get them posted individually with pictures, in case you are in need of some neighbor or co-worker gift ideas right away. All ingredients can be found at Harmons Grocery! Remove from heat, and add coconut extract, vanilla, almonds, and pecans. Mix until all is covered and well coated. I like to mix it in a brown paper grocery sack. Lay out on parchment paper and cool. Store in an airtight container. 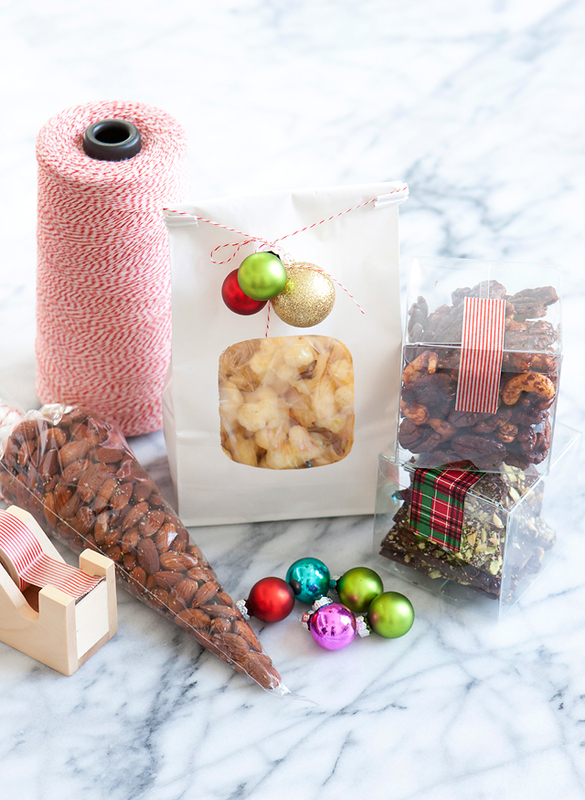 When the chocolate is melted, spread onto parchment paper, and sprinkle with pistachios, crasins, and sea salt. Toss the warm nuts into the mixture until evenly coated. Then, roast on a parchment lined baking sheet for 12-18 minutes to get them perfectly toasted. Be sure to stir the nuts every 4 minutes to prevent burning and clumping together.